Now here is an online bingo website that is looking to make all its players feel like VIP’s and royalty. Plush Bingo is a bit of a posh looking online bingo website that is generous from the off. 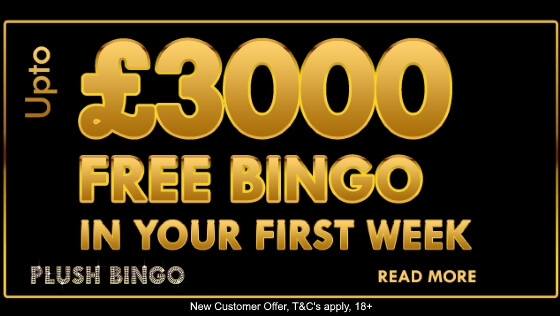 New players can grab themselves the chance to win up to £3,000 in free bingo bonus just for opening up an account. There is no deposit required to take advantage of this first part of their welcome package. Joining Plush Bingo is a really simple process and will only take a few moments of your time. Simply click on the buttons within this article at the top or bottom or any of the associated links. This will take you to the Plush Bingo login / home page where you can then select the Play Now button and complete the short registration form. Although you do not need to make a deposit to take part in the free bingo games in your first week, you will need to submit your debit or credit card details. This is purely a security check and helps with fraud prevention and helps to verify you. No funds will be taken from your account. As with 99% of all online bingo websites, the welcome bonus requires you to meet certain wagering requirements/terms and conditions before any winnings from the bonus can be withdrawn. The current requirement is to wager any winnings from your bonus x8 for bingo. This is on cash carried forward to a real money account (maximum £20) when you make your first deposit. Check the Plush Bingo website for full terms and conditions. Plush Bingo has plenty to offer its players and this includes 13 different types of bingo games and these include 90, 80, 75, 50 and 30 ball bingo games. There is speed bingo and penny bingo. There is also a huge range of online slots and these include 6 progressive jackpots where you can win a huge jackpot prize. Then when you deposit into your account with at least £10, you will receive a 300% cash match bonus giving you £40 to play. So why not give Plush Bingo a try today. 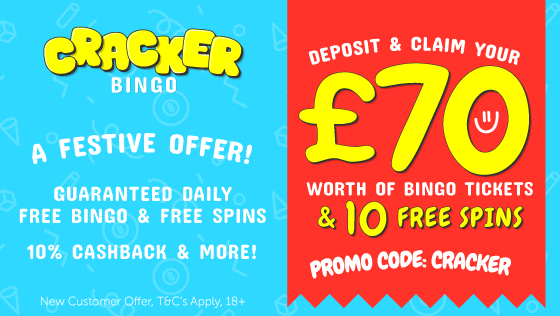 For full terms and conditions of this bingo bonus offer, please visit the Plush Bingo website.